Of course, being a pioneer meant that Under a Killing Moon is not perfect, and indeed many sequences can be a bit frustrating, especially when fast reflexes and hand-eye coordination come into play. Still, the puzzles are nicely integrated into an intriguingly layered detective story, with dozens of interesting characters, ranging from disfigured mutants treated as pariahs by the rest of the population to treacherous femmes fatales dressed in black, always with a cigarette between their red lips. The 3D environments have not stood the test of time particularly well, but the atmosphere has lost none of its appeal, paving the way for this game’s inclusion on the list of all-time greats. Playing Under a Killing Moon is like reading a sci-fi version of the best Raymond Chandler novel, and Tex himself (played superbly by Jones) is such a lovable, charismatic lead that he deserves a rightful spot amongst the greatest heroes of the adventure genre. 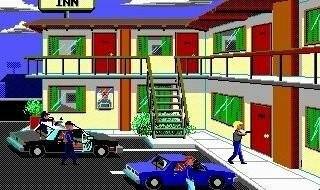 At a time when cartoon comedies and light fantasy adventures ruled the genre, the gritty realism and intrigue of Sonny Bonds and the Lytton Police Department provided a captivating change of pace that was never more perfectly realized than in the brilliant Police Quest 2: The Vengeance in 1988. The story takes a direct cue from the conclusion of the first game in the series, continuing the tale of the “Death Angel” Jesse Bains one year after his capture. The sequel takes no time at all to ratchet up the intensity and never lets up on the suspense through pursuit, multiple murders, and a violent final confrontation in the underground sewers of a fictional New Mexico city. The other Police Quest adventures suffered from thin plotting and weak writing, but this gem has no such issues, with a great script and a very balanced level of difficulty. Sierra really set a new standard of drama for the time, with some surprising turns and the violent integration of elements of Sonny’s personal life. 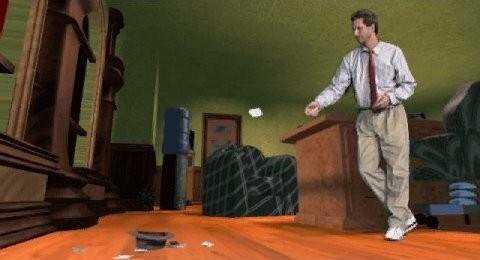 The game is colourful and diverse in its locations, offered a sparse but cool soundtrack in the earliest stages of the sound card, and in all areas it boasts a remarkable attention to detail that makes the game a wonderful detective mystery. As one of the top games – serious or otherwise – of its era, The Vengeance is still an entertaining and intense adventure more than two decades after its release, standing not only as the best of its series but one of the very best of the genre all-time. 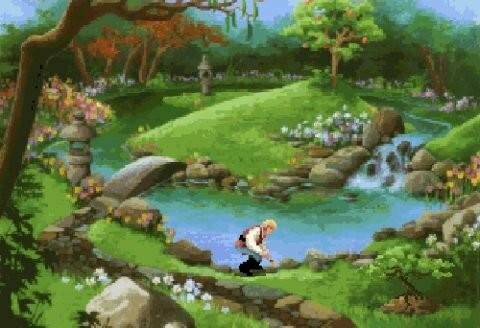 Arguably the best chapter in the Quest for Glory series (we know, because we argued), Shadows of Darkness overcame a huge array of bugs that plagued the initial release to stand alone atop this unique RPG-adventure hybrid series. As a bonus, most of the bugs have since been resolved by fan-made patches, providing a better experience all around. But even back in 1993, its gorgeous VGA backgrounds literally oozed atmosphere from every pixel, and an outstanding soundtrack accompanied every moment of the game with haunting, memorable instrumental pieces. Then there’s the usual series trademark, that exquisite mix of adventure gameplay and RPG features, like character-building, side-quests and – gasp! – even combat (though here you can let the computer A.I fight for you if you wish). Most notable of all, however, is the deeply touching story about regret and redemption, whose Gothic elements perfectly fit with the Transylvanian setting and mythology, and the many endearing characters – some solemn, some zany, but all of them vibrant and charming in their own ways. This includes not only one of the greatest all-time "villains" of the genre, but also minor characters like Tanya and Toby, whose tale is bound to bring at least a little tear to the eye. Then, of course, honourable mention must go to Jonathan Rhys-Davies, who did a mesmerizing job as the voice of the narrator, delivering an ominous tone to every description, making the experience all the more exhilarating. The sum total of these superb elements make Shadows of Darkness the most memorable installment in the one-of-a-kind Quest for Glory series and one of Sierra’s finest achievements overall. Ask anyone about good detective mysteries, and the name Sherlock Holmes springs immediately to mind, and for longtime adventure gamers, The Serrated Scalpel usually stands out as his greatest triumph. 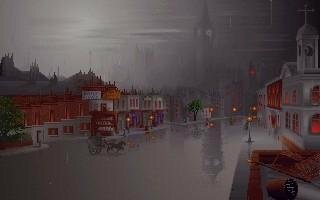 Mythos Software’s 1992 Lost Files game tells a brilliant, original tale in which Holmes is confronted by a murder that appears to be the work of Jack the Ripper. He knows better, however, and this certainty sets him and his ever-faithful partner Dr. Watson on a chase across London to find the real culprit. The ambitious plot twists and turns in unexpected ways, cleverly involving a cast of over a hundred across more than twenty different locations, from the morgue to the London Zoo. There is so much to investigate and so many people to interrogate, the plot feels incredibly meaty and will keep you hooked for quite some time. The faithfulness to the Sherlock Holmes canon is also evident, with many familiar characters making appearances, plus nice little references to other cases that only fans of the books may notice. But even Sherlock neophytes have found themselves completely engrossed by continually uncovering clues that create new leads that point to new places with still more clues to find. The plot progression feels very organic, and though challenging, it is a lot of fun piecing together the evidence to work out the truth. The sound design and graphics were nothing special at the time of release, and there are technical limitations that prevent it from holding up well two decades later. But if you can find a copy and get it running, even now you’ll feel like you’re actually in an authentic Sir Arthur Conan Doyle mystery, which raises it above even the slicker, newer Sherlock Holmes adventures of today. 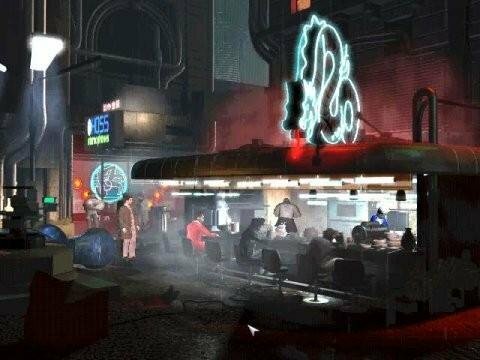 Though history may remember them best as the creators of the critically-acclaimed strategy series Command & Conquer, Westwood Studios made a fair number of adventure games in its time, including the brilliant 1997 companion to Ridley Scott's 1982 dark future masterpiece, Blade Runner. Taking place parallel to Rick Deckard's investigation, the game stars rookie Blade Runner Ray McCoy, who explores many of the film's signature environments and interacts with familiar characters as you hunt down a group of replicants who are suspected of killing real animals. Given their scarcity in this grim, neon-obsessed metropolis of 21st century Los Angeles, this is a crime on par with murdering humans. The storyline twists and turns continually, and you’ll come to suspect virtually everyone of being a “skin job”. Even your own authenticity comes into question. The game was originally billed as a “real-time adventure game” and employs a variety of sequences that test your reflexes against other characters and environmental hazards along the way. You will dodge a screaming maniac, examine crime scene photos with the ESPER, and administer Voight-Kampff tests to suspected replicants you encounter. The story boasts a large number of branches, both in the final moments and in multiple steps along the way. If you like, you can mimic the plot of the movie or take the investigation in a vastly different direction. No matter which of the many narrative alleys you venture down, the game manages an engaging story with well-realized characters and subplots that build on, never break, the reality established in the classic film. As a bold movie tie-in (albeit 15 years after the fact), Westwood gave players both the world they were familiar with and the personal agency to explore it as they saw fit, securing Blade Runner its rightful place among adventure gaming's best.